Money is not the only motivating factor for sales professionals in today’s media sales environment. 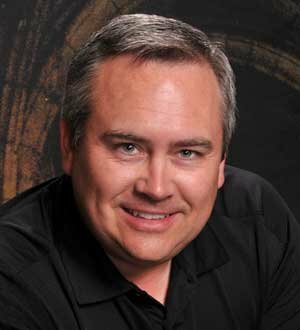 Ryan Dohrn, a 25-year media management veteran, will explore what "truly" motivates your sales team. These insights will guide and inspire your thoughts on compensation, and how identifying the right drivers can make a dramatic impact on revenue. Ryan has been a part of the management teams at Disney/ABC TV, Sinclair Communications, Morris Newspapers, and PennWell Publishing. He has seen the good, as well as the bad, from many angles across his media career. He currently coaches the leadership and sales professionals of 75 media companies on a monthly basis. From identifying motivators to compensation to coaching to company culture, to understanding your true impact, Ryan will dig deep and share six critical management factors that are sure to inspire you to take your management style to a new level. Achieving your goals often depends on your team achieving their goals. But do you sometimes find them trying to dump their jobs in your lap? Yelling and screaming may make you feel better, but does it really work? This session explores strategies and tactics that have been proven to work better and are easier on you, too! Mark Levy of RDR (Revenue Development Resources) has trained thousands of sellers and managers in the U.S. and abroad. Mark’s expertise is a result of his experience from 30+ years of selling and managing in the media industry. The RDR training curriculum is built on the foundation that businesses need sellers who know how to sell and managers who know how to lead in order to build and maintain successful companies. We all know that finding quality salespeople is a difficult task. Many of us joke that curing cancer might be easier. So, what can we do to find, train and retain high-quality sales professionals that will help us achieve our financial goals? Media sales veteran Ryan Dohrn has created and managed advertising sales teams at ABC TV, Morris Publications and PennWell Publishing. While he does not claim to have the “employment holy grail”, he does have some ideas that have worked to find some great salespeople over the last 25 years. From job descriptions to comp plans, Ryan will share seven ideas for media sales recruitment success. $100 per half-day session $300 package price for the entire virtual conference series.